From which post office do I get my parcel? 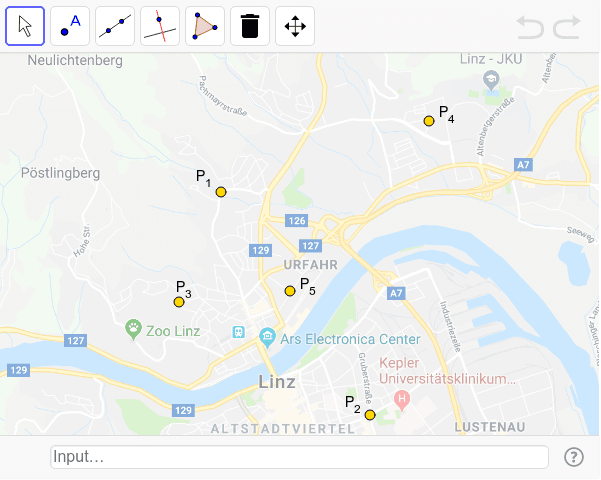 In Linz, five post offices (yellow dots on the map) are going to open. Each house should be supplied by the nearest post office as the crow flies. Try to construct the delivery areas for each post office! Hint: How can you determine those points that have the same distance from two given points!